21650 NETSP2976.jpg 500X638\NETSP2976.jpg 21651 NETSP2976_1.jpg 500X638\NETSP2976_1.jpg 21652 NETSP2976_2.jpg 500X638\NETSP2976_2.jpg Send A Hint! Product Description: less text Where would one be without the women in your life? Thank them this Women's Day for being the best and spoil them with this lovely Lilac and Pink Rose Bouquet. 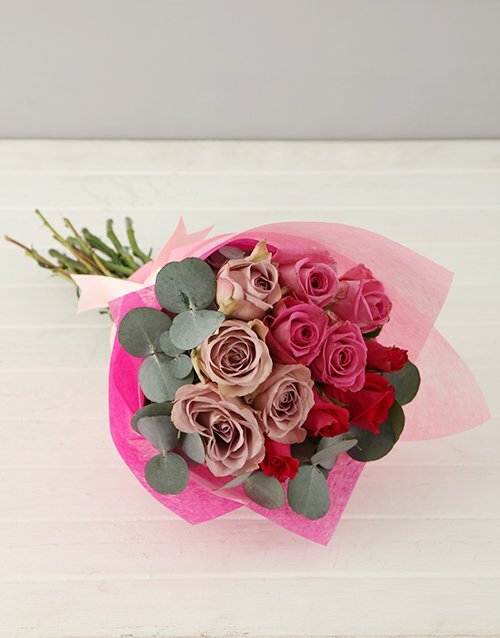 Lilac and pink roses are mixed with gum leaves and wrapped in beautiful tissue paper and an elegant ribbon is tied around the bouquet to make it the absolute perfect gift. 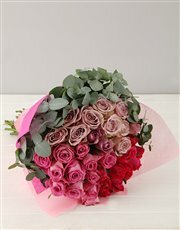 Spoil the lovely lady in your life with this charming bouquet! Available in small, medium and large bouquets. 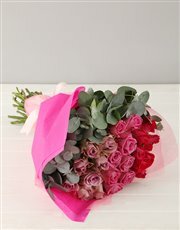 Rose colour may vary Get this Lilac And Pink Rose Bouquet delivered with NetFlorist.